You are sitting comfortably on your couch, wondering what kind of movie to watch next, when you suddenly remember that you have to write up an essay for the next day. You begrudgingly accept the challenge and spend the next two hours “researching” websites and compiling your report. And when you are getting very close to finishing up and finally going to sleep, the unthinkable occurs; Word crashes or maybe the power dies out along with your PC. As I am sure many of you have already found out the hard way, instances like those do not always have to be a cause for concern. 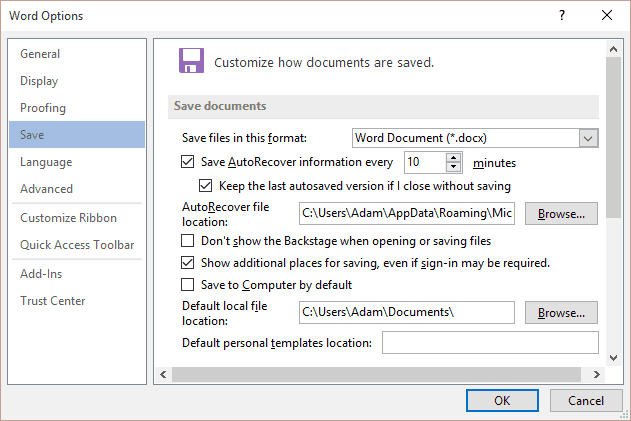 First of all, Microsoft’s Word automatically saves your documents in a recovery mode in 10-minute intervals. When Word crashes or your computer suddenly dies out then you can recover the files without losing much. Auto-saving is not perfect, of course, but it still presents additional ways of recovering your files even when you have lost all hope. How does auto-saving work anyway? 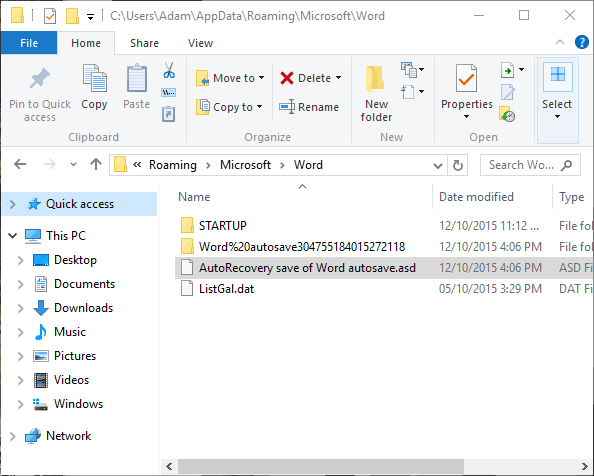 By default, Word saves the documents you are working on via AutoRecover every 10 minutes. What that means is that if you have been working on a document for less time, no backup will be created. It also means that your backup will not be entirely up to date and you may lose a few minutes of your work. None of the above are deal-breakers and losing 10 minutes instead of 3 hours is laughable but there you go. The only thing that might worry you is that AutoRecover files may disappear when Word closes but there is still a way to potentially get them back (more on that later). Save AutoRecover information every X minutes: As I have already mentioned, the default value here is 10 but that may not work for you. I doubt that anyone will want to raise the interval but you can easily lower it and instantly reduce paranoia. Keep the last autosaved version if I close without saving: Also known as the life-saving option. This setting, which is conveniently turned on by default, will automatically keep the latest autosaved file available in case you close Word without saving first. This means that the temporary AutoRecover files will stay in your computer for a bit longer so you can easily get your document back even if your PC completely crashes. Definitely keep this on. AutoRecover file location: Like many other temp files, AutoRecover documents are saved in the %AppData% folder as the user is not really supposed to see them while they are working their background magic. But if you want to have easy access to them, choose a different saving location for them via the Browse button. 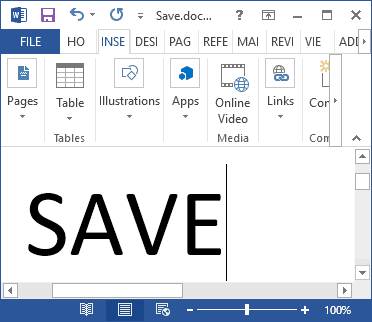 No automated system is perfect and Word’s auto-saving is not an exception. Sometimes, the feature will not be able to access the AutoRecover files, leaving you to think that your work is lost forever. Fret not for there is one more thing you should always try before giving up and turning to alcohol. First, go to the Save options and copy the AutoRecover file location. Then, while you are still in Word, click on File > Open. Paste the directory you copied above into the folder name box at the top (or just manually browse to the location) and make sure that you select the “All Files” option from the dropdown menu at the bottom right. That folder should be host to at least one .asd file which is the extension that AutoRecover uses. The name of that file may be familiar, such as “History Essay.asd” or something in gibberish. Open the file which contains your work and voila! You may have lost a few minutes of work but the rest of your document should be there. Feel free to cry tears of happiness at any point and make sure that you save your work more frequently in the future. Learning to press Ctrl + S every couple of minutes has truly been life-changing.